In the light of the rapid transformation of the industrial sector industrial companies are considering or have begun to apply available technologies to create a transparent supply chain. Track & Trace solutions can provide insights and control of the entire process: from the supplier of raw materials or parts, through the in-house process and warehousing up to the end customer. ARC's Track & Trace survey wants to gain insights into these dynamic, complex, and fast-moving solutions, by assessing the offerings, opportunities and challenges the application or development of Track & Trace solutions holds for end users, suppliers and integrators. You may use your desktop or mobile device to participate in this assessment. All personnel involved with the application or sales/implementation of products or services in Track & Trace. This survey is directed at end users, suppliers and service providers/integrators. Results will be presented in aggregated form only. ARC guarantees that your individual responses won’t be shared with others. If you leave your contact details, we will send you a summary of the findings after the survey is completed. 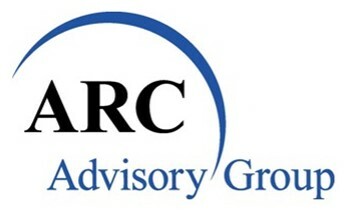 If you agree to be contacted by ARC, we may get in touch with you for follow-up research. In this discussion you can also ask some questions to ARC analysts about the topic. This questionnaire contains around 15 questions on Track & Trace solutions and should take 10 to 15 minutes to complete.